Took me long enough to finally watching this movie. Finally! 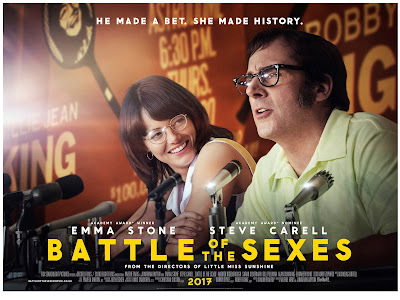 Here's my honest review on Battle of the Sexes, a biographical sports comedy-drama film directed by Jonathan Dayton and Valerie Faris and written by Simon Beaufoy. First of all, I am a huge fan of films based on true story. 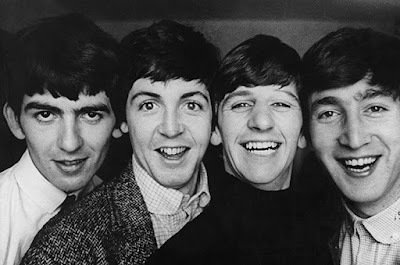 They give an emotional pleasure and somehow related as it does happened to a person, just like mine. Well, except the fact that most of the times, we already know how the ending will turn out to be. Anyway, I quite enjoyed watching this movie even though I'm not a feminist (I am a humanist btw), nor I am a sport enthusiast. However, there was some issue that I found it as turn off for a potentially good movie like this. Cmon, you're making stories about two greatest tennis player that battled each other for a gender equality here, even the simple description can send the shivers down your spine right? Unfortunately, the movie did not. Why? Here's the thing. This movie is too simple. But sexism and the problems that it causes are complicated. In the movie, everything is spelled out in a painfully obvious way. It condescends to make sure that everyone understands. The sexist characters come out in shameless and laughably overt ways. The good person defeats the bad person and everyone cheers. It's a fairy tale ending, hooray! But none of that is realistic. On the brighter side, Steve Carell and Emma Stone are charming and wonderful in this movie. Besides that, the clear motif and storyline conveyed in Battle of the Sexes clearly defines it's ability to attract every kind of viewers from teenagers to the elderly. Certainly not a perfect movie but definitely heartwarming and bubbly, hence, suitable for everyone. So people, if you have not watching this movie yet, go give it a try. You'll like it. Hopefully. Thank you for reading my review and have a good day.